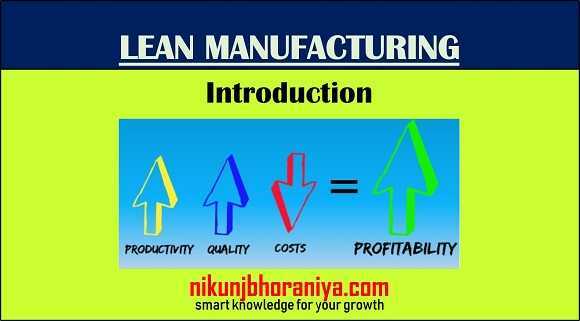 Lean Manufacturing | What is Lean Manufacturing? 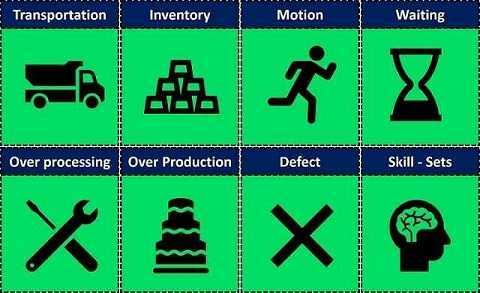 | What is Lean Process? → Lean Manufacturing is all about the optimizing processes and eliminating waste and we will become more efficient in our manufacturing. → In this concept, we have to find waste in our process and cut it out and the process will become lean. → It is a systematic approach to identifying and eliminating waste through continuous improvement in our process. → Lean Manufacturing is a Japanese concept. → It is a methodology that focuses on minimizing waste within manufacturing systems and simultaneously it maximize productivity. → less engineering time to develop a new product. Do you move materials efficiently? Are you working with optimum transportation? Are you have work in progress inventories too high? Do you buy too the much raw material that needs to be stored for a while before it’s used? Do people and equipment move between tasks efficiently? How much time is consuming between your production steps? Does someone have to wait for someone else to finish a task? Are you producing the right amount of product to meet your consumers' demand? Do you work on the product too many times? How much time do you spend finding and fixing production mistakes? Do you use workers efficiently? → Culture: Create a continuous improvement culture always consider new ideas. Create video on trouble shooting technology.